The nature of applied linguistics is an issue that has reappeared again and again over several decades. The established paradigm met severe difficulty during the 1960s, but has never been replaced by a coherent alternative. 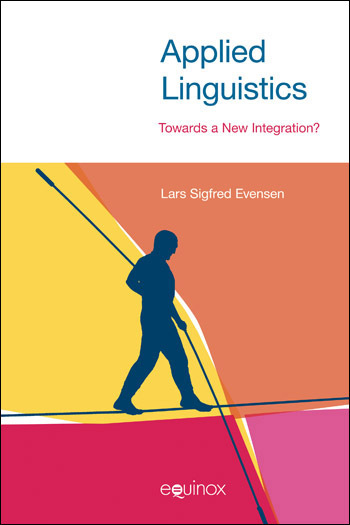 The major aim of this book is to present a new approach to the discussion about the nature of applied linguistics, one that investigates its deeper theory of science underpinnings. A second important aim is to explore what an alternative might look like, granted diverse developments since the original paradigm began to be questioned. Rather than argue the case for one specific alternative, the book suggest a viable tertium comparationis for intellectual discussion across current tension and disparity. Such a common ground is strongly needed within graduate and postgraduate programmes. The first part of this book presents applied linguistics as seen within theory and history of science. The emerging picture is empirically confronted with the world of practitioners. The second part presents tentative integration, in theory of language, theory of learning and research methodology, and ends with an empirical study illustrating principles of research. The third part returns to theory of science, discussing ontological aspects of our core research object – problems of linguistic communication.